We’re located in the CLT Airport Atrium, which is central to all CLT terminals, and have shower facilities available to reserve separately. Please call us at (980) 299-1542 or book your room online. We can’t wait to host you! For two or up to four travelers, choose First in Flight, Carolina, Panther or Queen City Suites (daybed with trundle). Solo travelers may prefer the smaller Uptown or Speedway Suites (daybed only). 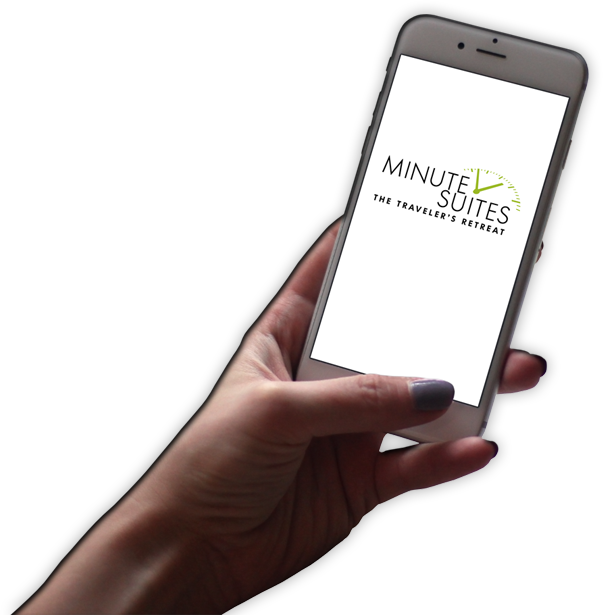 All suites feature complimentary DirecTV, Netflix and Wi-fi. A mini-bar with drinks and snacks are in-room available for purchase. Want to search for food or other items to pick up for your stay? Here’s a detailed map of CLT.